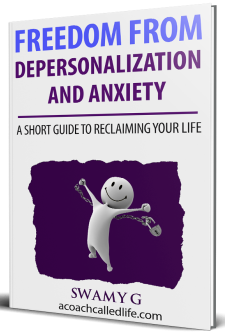 A lot of people suffering from depersonalization (DP) and derealization (DR) tend to get stuck at different stages of recovery. For some, they get stuck at the fighting stage. This is when people don’t realize that fighting the feelings of DP don’t help with the healing. In fact, it only makes things worse. So, they keep fighting and keep getting stuck with their DP. For others, they may get stuck somewhere in the middle. They learn not to fight the feelings. This brings some positive results and a temporary absence of DP. But when they experience DP again (known as a setback), they give up hope and go back to fighting it. They don’t understand that setbacks are part of the recovery process. In recovery, you will have days without DP (up-cycle) where you generally feel like you are recovering and you feel free of symptoms, followed by days where the DP seems to come back with full force (down-cycle). People don’t understand that it doesn’t matter much what you do in the up-cycle. What matters the most is what you do during the down-cycle. If you revert back to fighting the DP, give up hope, and simply cut yourself off from participating in life, then you will definitely get stuck in your recovery. Then there are people who do a lot of things right and yet find themselves stuck with DP. These are people who don’t fight their DP, are mostly functional in what they do, show up for work or go to school, aren’t locked up in their homes all the time, and they are people who lead a normal life in almost all ways – except that they still feel like they haven’t fully recovered from DP. If this is you, then this article is for you. When I talk to my clients who are in this stage, I notice a pattern. Though many of them practice a non-violent, non-fighting approach towards DP, I find that they have an underlying urge to get rid of DP. When I talk to them about the practice of acceptance, they tell me that they do practice it. While on the surface this may seem true, when we dig a little deeper, we find out the truth. I usually find that their acceptance is, in fact, nothing more than tolerance. Now, those are two very different actions. Acceptance is welcoming and being fully open to the symptoms and feelings of DP, giving it permission to come and go as it wishes. Tolerance of DP, on the other hand, is simply allowing the DP symptom or feeling to exist, while in the back of your mind, you are hoping it doesn’t come back to bother you again and again. Tolerance of DP may be the first step towards your recovery, especially if you have been fighting it for many years. It’s easier than acceptance, but if you find yourself still struggling with depersonalization symptoms after many months or years, then it’s time to move into full acceptance. When I say welcome and accept your DP, it doesn’t mean I tell you that you have to love your DP. In fact, you can still find it unpleasant to experience DP and at the same time be willingly open to it. Your DP persists because you are, at some deep level, trying to get rid of it. This resistance to DP may even be unconscious; that is, you may not even be aware of it. You have to realize that you don’t have a lot of choices when it comes to recovering from DP. 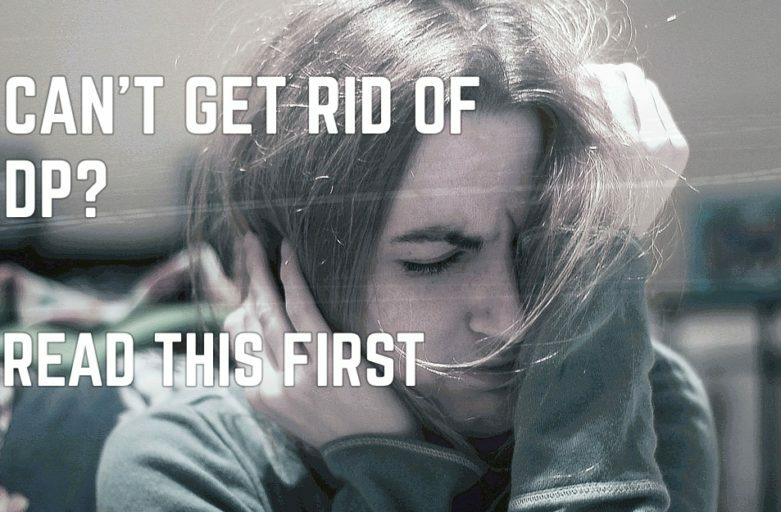 You can’t fight it or try to get rid of it. It’s not going to go away through those strategies. The only choice you have is to fully accept and embrace it. I understand how you are feeling right now. You may ask, “Well, if I can’t get rid of the symptoms of DP, then what’s the point?” That’s a valid question to ask. Why bother reading how-to articles or watching videos, if, at the end of the day, you can never get rid of DP? My answer to that is though you can never get rid of DP by yourself, you can pave the way for its exit. Now, what do I mean by that? To put it simply: You cannot get rid of DP, it has to leave on its own. Know that you don’t have control over the coming and going of DP symptoms, but through your actions you can ensure that there’s a way for DP to exit out of you. Do not let the above fact frighten you. Instead, let it free you from always trying to get rid of DP, whether consciously or unconsciously. Instead of spending mental energy to somehow get rid of DP, you can channel that energy into something else, like a personal project or new hobbies, such as gardening or learning to play an instrument. Give up the desire to be free of DP, and DP will eventually leave you. This is the paradoxical way in which DP operates. Another area where people struggle with DP/DR is that there are always some symptoms that linger on. In my own recovery, most of my DP/DR symptoms went away over time. The fear of going crazy, feeling detached from myself, and a general sense of fear and panic were some of the first symptoms to go. However, the feeling of unreality persisted for a while. It was one of the last symptoms to leave. Even today, I still experience some symptoms like tinnitus (a ringing sound in the ears) or having music constantly stuck in my head. I don’t let them bother me. I give them full permission to come and go, and hence, I don’t pay attention to them that often. This gives me the room to engage with activities that are more meaningful to me, like writing articles for this website and making videos about depersonalization. If you have one or two symptoms that still linger on, don’t lose heart. Let them come and go as they wish. What you are experiencing is very normal and it’s part of the recovery process. Again, if you feel like you have been doing everything right, and still feel like DP/DR persists, then realize that some part of you is trying to get rid of DP/DR. This is the cause of your suffering. Realize you cannot get rid of DP/DR. It will leave when the body and mind feel that it’s no longer necessary to disassociate. Stop trying to get rid of DP and learn how to pave the way for it’s exit. 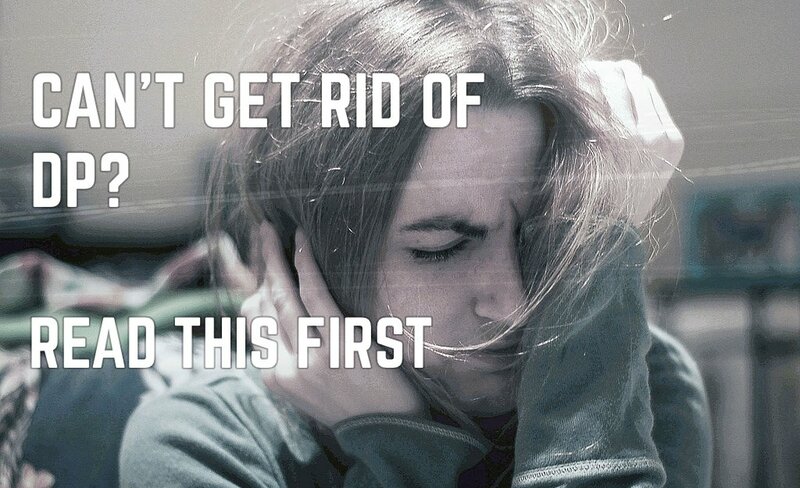 ← Can Depersonalization Lead to Schizophrenia? Thank you for this article! I have been daily ‘fighting’ for 17 years and when I don’t fight, like you said, I grit my teeth and dreadddd the DP, hoping it will go away. Today, while putting up our Christmas tree, something that usually makes me sad because I feel like I’m dreaming, I told DP it could stay as long as it felt like it needed to. Thank you so much for your help and your site! Way to go Nicole. That’s the right attitude to embrace.